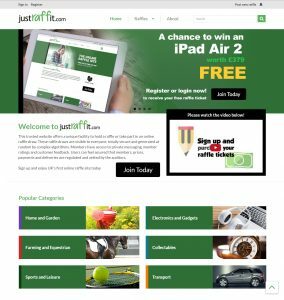 This is the first genuine UK raffle site to which the user can hold raffles or just take part. 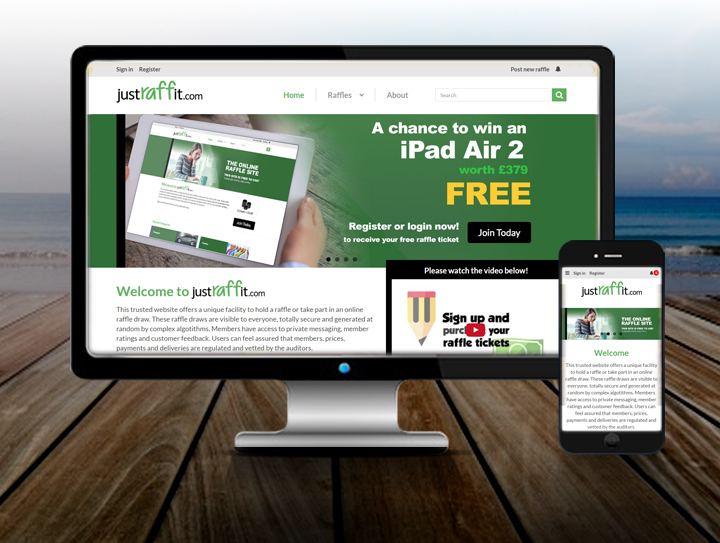 This idea was envisaged by a team of people from Chichester who wanted a website firm to take this dream on board, brand it and make it work as a functional website. Ebb and Flow took delight in branding this idea including a fresh unique logo, concept and colour scheme. Banners and icons were created, photographs were drawn up and the site was built. For the actual scripting and framework, we joined up with ZetaSoft in Chichester. They used their team of coders and developers to put the building blocks in place and make the dream a reality.